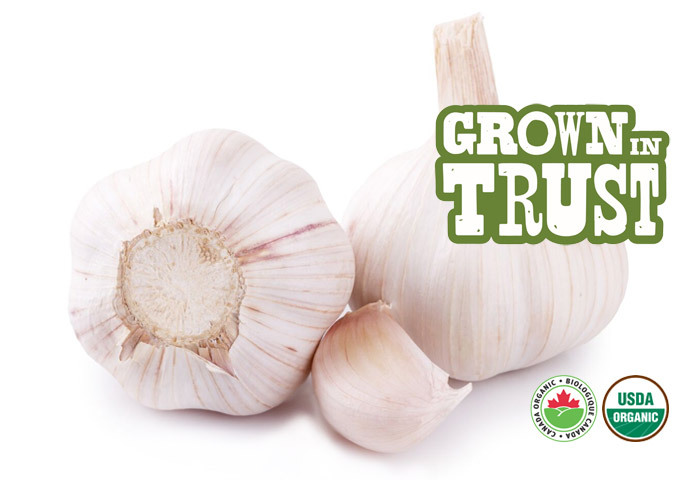 Thomas Fresh organic garlic is available all year round for garlic lovers across Western Canada. 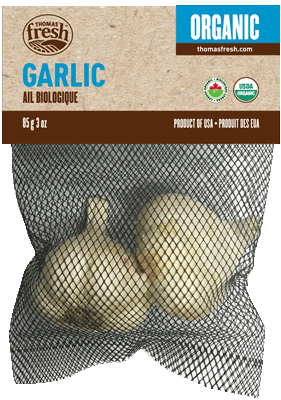 Sold as full garlic heads. Taste is bold and sharp. White or off white colour with delicate skin. A must-have for every kitchen! Separate and peel cloves. Best when cooked. The first civilization to eat garlic were the ancient Egyptians.